can’t get enough of shutterbug-oriented novelty gears? fret not as Photojojo has just introduced yet another pair of lens mugs, except that this time round they are much taller then the previous incarnations. 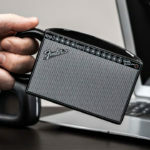 had enough of mugs? again, no worries as now there’s a DSLR coin bank that keeps your saving safe while being a little discreet, or so i thought. 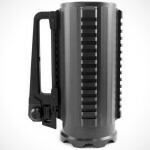 first in line is the Extra Tall “Nikon” Lens Mug but unlike its name, it is more than just a mug – it is also a thermos. unscrew the the bottom cap, and you have yourself a handled mug. perfect for those correspondent job in the middle of the cold desert night. 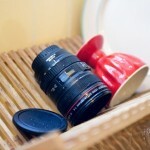 unlike its previous version, this mug is based on the 70-200-mm white “Canon” lens and thus it’s able to hold more liquid. it comes complete with an air tight sip lid and stainless steel lining to handle pretty much any temperature liquid you can throw at it. last but not least, is my personal favorite – the DSLR Bank. it is not a real bank per say but it is a coin bank. 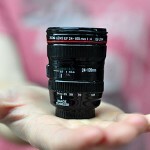 simply put, it is a piggy bank for shutterbugs to save up for their next precious lens or camera or whatever. it features a discreetly hidden coin slot for you to input your coins and from the look of it, it is looking pretty convincing. alas, you can be sure that your hard earned dough are safe, until you realize the would-be thief is eyeing on your supposedly DSLR more than a coin bank. the Extra Tall “Nikon” Camera Lens Mug can be yours for $35, $30 for the 70-200-mm white “Canon” lens and the realistic coin bank based on Canon EOS 350D DSLR cost just $24 a pop.